Been fascinated about Morocco for some reasons. Probably dumb reasons to some: it’s North Africa(yup, it’s a big wow to me! ), French Moroccan mix, the music, the handicraft, Casablanca (yes yes, I heard is not much there but the movie!) and everything I only heard of but not seen. It’s mysterious. I never done too much research into Morocco. One of the reason is not to ruin the surprises if I go one day. Another reason is knowing too much how great a person or a place is may not be a good idea sometimes, it may turn out having too much pain when I can’t go for it somehow. (flight to Morocco is way bit expensive from HK and the idea, just the idea of it being so far away). Sometimes, when things seems to be too beautiful, you don’t touch it, it may be dangerously additive. 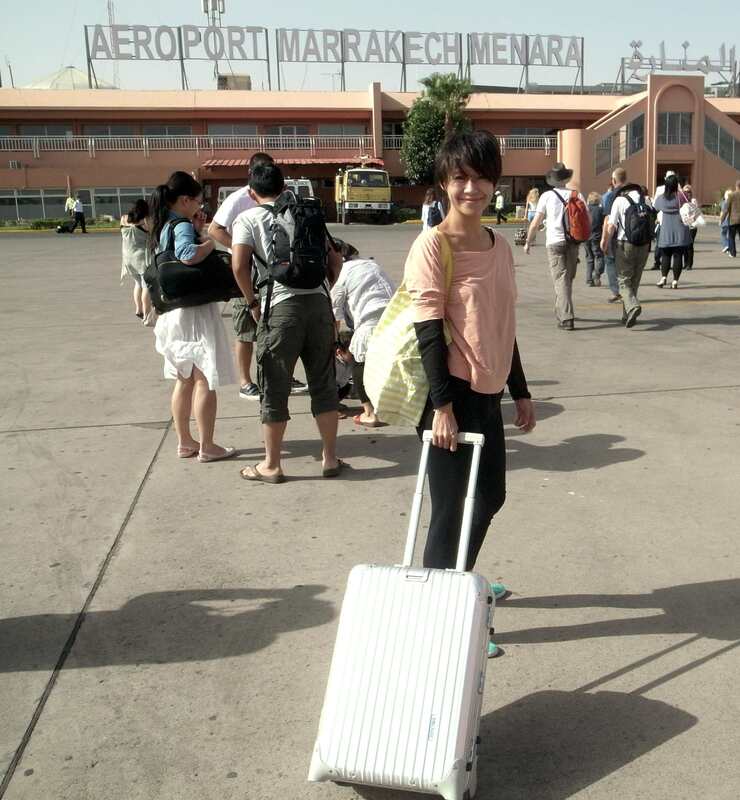 So here I am, in Morocco. Am at my hotel in Marrakesh by the pool now. It’s my 5th day here and it’s no doubt been fascinating, yet mysterious. The first thing I saw was a sea of red low-rises. It’s stunningly beautiful with donkeys, horsey on streets. The city is divided into old and new town. I especially like the old part of it surrounded by red walls, there are so much about Souks (the old part of town) but would like to mention Jardin Majorelle on next post. This is where Yves Saint-Laurent and Pierre Bergé, bought over the mansion by this French artist Jacques Majorelle (1886-1962) as well plant collector (well I never know one can actually collect plants as a hobby!) in 1980 and decided to maintain it. After Ysl died in 2008 his ashes were scattered in the Majorelle Garden. Previous Bubble Shiraz, Style.. Not?